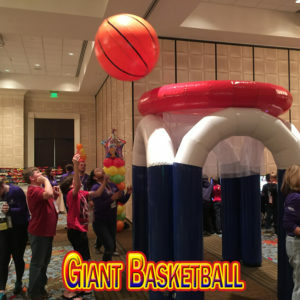 Giant Games from To Go Events bring classic games into larger than life format. 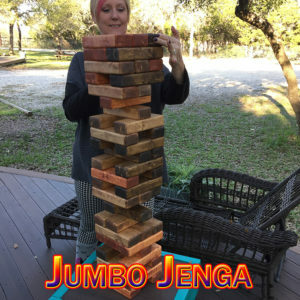 Feel like a kid again with any of our Jumbo Sized Games. 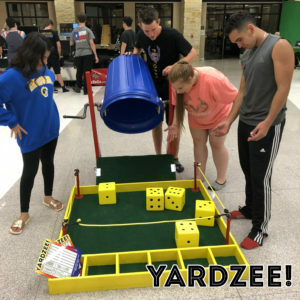 Mix and match with our Carnival Games and/or our Mini Golf To Go to make your event a BIG hit! Note: we do NOT sell games or have rental pick ups. The classic dice game gets a size enhancement! Roll six inch dice from a 35 gallon bucket and keep score or big dry erase boards. A To Go Events Exclusive! Custom built by us! The childhood classic is all grown up. 28″ sticks and 3″ balls make this giant game big and fun. 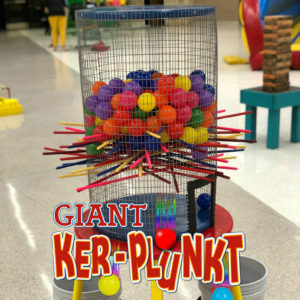 Giant Kerpunk is a visual and playable hit at events! 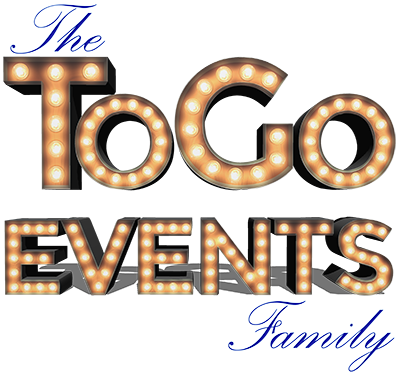 A To Go Events Exclusive! Custom built in our workshop. Heads will turn for this gigantic version of the classic toppling blocks game! This game can get very intense and competitive. It’s always a hit. Proper dimension ratios to the original table top game make this play great. Includes a table for the blocks. 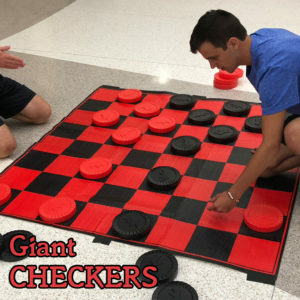 A giant version of the classic strategy game of checkers. In red and black to add color to any event! 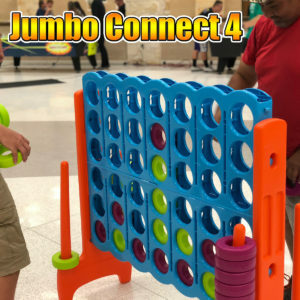 The classic kids game gets a size boost with this giant version of connect four. Big and colorful, this game will be in use your entire event! 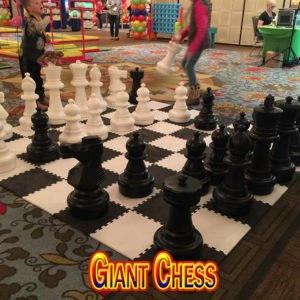 The classic game of chess on a board that is 10′ x 10′ with a 24″ tall King and Queen. It looks great and is a lot of fun to play. A 10′ tall basket and a 36″ ball make this giant basketball game a lot of fun to play. Everyone is going to want to take a shot with this Jumbo version of the sport.